It's that time of year. The summer movie season is in full swing which means it's time to sift though the Hollywood licensed games and see if any of them are worth your time. 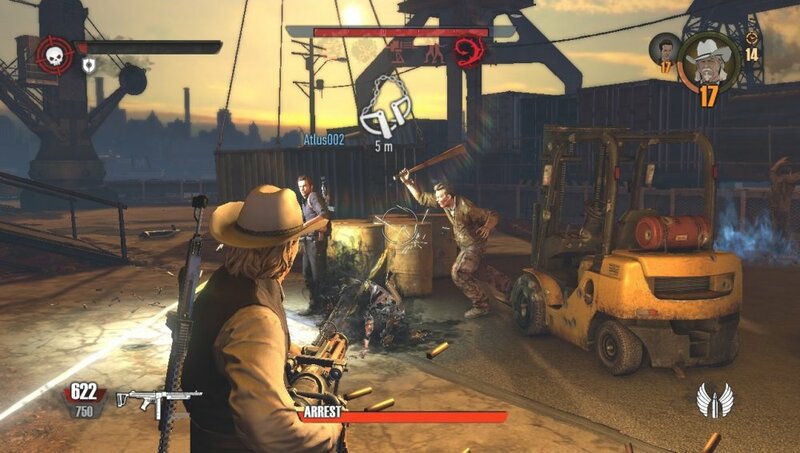 I'd be doing you a disservice if I didn't get this out of the way now: Avoid R.I.P.D: The Game. There is only suffering here. R.I.P.D: The Game is based on the upcoming popcorn flick, R.I.P.D. (The MOVIE!?) which stars Jeff Bridges and Ryan Reynolds. It's based on a Dark Horse comic which I'm assuming is called R.I.P.D: The Comic Book, and it bears more than a striking resemblance to Men In Black, only instead of government suites our heroes are deadish police officers and they're protecting mankind from evil spirits instead of evil aliens. Oh, and the bad guys are called "Deados." I guess all the good zombie synonyms have been taken. My simple synopsis is more plot than you'll get from the game. After a brief introduction I was given the option to chose a character, select a stage, pick a weapon, and begin a match. At first I dove in solo. That was a bad idea. My experience with R.I.P.D. was unpleasant. I'd leave it at that, but then you might go off on your own and try it yourself. I'd feel horrible if I let that happen. I hobbled my poorly animated version of Jeff Bridges around a brown lot until the game decided to tell me Encounter 1 was beginning. After a few seconds some of the ugliest character models I've ever seen ran at me from all angles. I used my horrendously underpowered pistol and impotent shotgun to fend them off. I want to be clear: R.I.P.D. has the worst shotgun I have ever used in a game. The spastic melee attack was more effective. R.I.P.D. looks bad for a $10 game. Hell, it looks bad for a $5 game. Textures fade in and out. The character models are chunky. Some enemies appear without weapons, pantomiming gunfire. The whole thing sounds awful. I don't know if the voice overs are samples from the movie, but the canned expressions seemed random at best. The guns sound like toys. The whole thing was a visual and aural beat down. After several minutes I realized that I was playing against a clock, and each time I died I lost a minute of time. I wasn't worried. Enemies were dying or just plain disappearing from the screen. After about five to ten minutes (which felt like a half an hour) I was informed that Encounter 1 was over. Oh god, no. Then Encounter 2 began. I played through that. Then Encounter 3. Keep in mind, this is all in the same crappy little level. After the third encounter I turned the game off and took some aspirin, and by aspirin I mean delicious booze. I managed to trick Nick into playing the game with me. 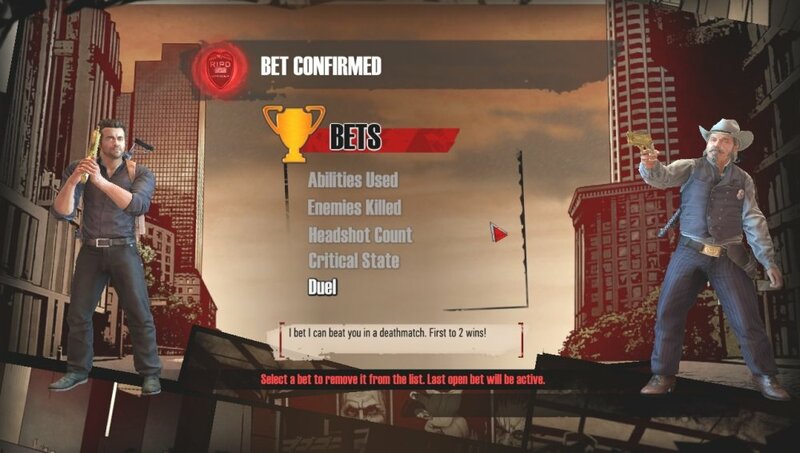 It's designed to be played cooperatively by two online players. (There's no local split screen option.) Co-op didn't make it any better. All I really learned from our co-op session is that it takes five encounters to reach a boss battle. These "climatic conclusions" feature a slightly tougher version of the large enemies we faced in the previous encounters. There was something about arresting or killing the boss, but between a knockdown glitch and the lack of any feedback as to what was actually going on - to be honest, I'm still not sure which method of justice we chose. R.I.P.D: The Game is the kind of rush job critics wait all year to tear apart. I could go on, but it's really not worth the effort. It's a truly horrible experience with no redeeming value, so I'm not going to take up any more of your time, or waste more of mine for that matter. Don't buy it, don't play it, don't think about it. Move on and enjoy your summer. 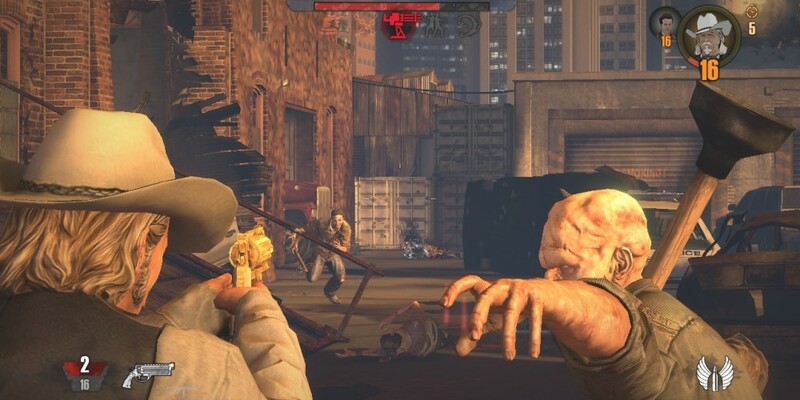 The Co-Optimus review of R.I.P.D: The Game is based on the XBLA version of the game. Codes for review were supplied by the publisher. The Co-Op Experience: Two-player online co-op allows wanna-be gunslingers to use teamwork as they battle their way through the game. Page created in 0.6952 seconds.